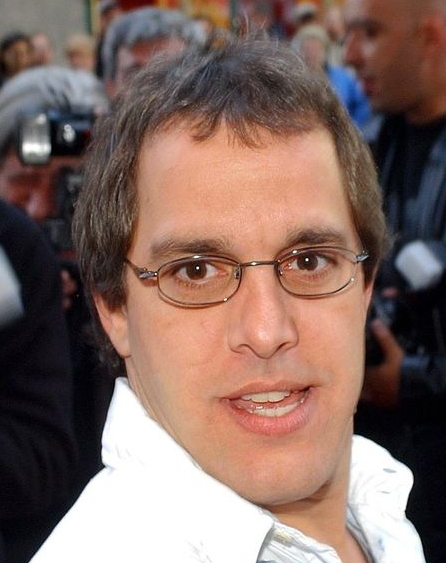 Police used a Canadian comedian to infiltrate Vito Rizzuto's Montreal Mafia organization, the Montreal Journal reported tonight. The effort occurred in Cuba. Though the comedian, Michel Courtemanche , was allegedly unaware of the role he'd played, Fidel Castro 's Communist regime eagerly participated in the operation. In 2003, members of the New York-based Bonanno crime family phoned Rizzuto and told him that the crime family's boss, Joseph Massino , had flipped (two calls were placed; the first apparently told Rizzuto to go to a restaurant on Montreal's South Shore, where he got the news). Rizzuto and his wife promptly hopped on a flight to Cuba. Rizzuto knew he was facing serious trouble; he'd participated in a triple homicide in Brooklyn, New York, in 1981 that Massino had direct knowledge of. As a rising star in New York's Bonanno crime family, Massino had actually orchestrated the hit on three dissident Bonanno capos. The former Bonanno boss, taking advantage of a 1931 Commission ruling that essentially gave Joseph Bonanno the rights to Montreal's Cosa Nostra group, Massino decided to use the Canadian faction, including Vito Rizzuto and two others, as the primary shooters. Massino wanted proverbial "out-of-town talent" to do the work, which was designed to resemble a stick up (inside a Mafia-affiliated club's basement). After the 2003 phone calls (which likely occurred on March 20, as will be explained) that alerted him to a pending arrest for three homicides, Rizzuto and his wife promptly flew to Cuba, taking a flight the very next day to the Melia Las Americas, a resort in Varadero, Cuba. There, the Rizzutos could enjoy the five-star resort's tropical-style rooms, each of which offers a beach-side view via a balcony; they could dine in any one of its seven restaurants (ranging from casual, poolside snacks to fine-dining), as well as pay a visit to the hotel's three bars and one nightclub. "Vito went there to assess his options," said retired Montreal Mafia investigator Tony Bianco. Rizzuto and his wife flew to Cuba on May 21 and stayed for six weeks, according to customs information collected in Canada, according to The Sixth Family. Quebec police attributed Rizzuto's choice of destination to his knowledge that Cuba and American didn't cooperate, so he'd likely not be extradited. Rizzuto wasn't planning to go on the lam, however. Canadian law enforcement apparently kept tabs on Rizzuto and knew exactly where he was; they knew someone else was staying at the same resort at the same time as the mob boss. When Bianco learned of this coincidence, he orchestrated a meeting between the two, hoping to use the beloved Courtemanche as an informant. The "Quebec humorist has a certain attraction" among Canadians, particularly those living in Quebec, where Rizzuto lived. Bianco believed that Courtemanche's charisma likely would win over the mob boss. The effort proved successful. The Rizzutos "had fun with Courtemanche, sharing stories and cocktails." It's not revealed whether additional members of the Rizzuto organization flew down to Cuba as well. The story (translated from French) refers to the Rizzuto clan having fun with the comedian. Plainclothes police officers arrived in Cuba to help facilitate "alliances" between Courtemanche and the Rizzuto group. Unbeknownst to the comedian, the strategy worked perfectly, although none of the intelligence accrued apparently has been made available. The operation ended and the RCMP considered it successful. Then they tried to use the comedian as an undercover operative back in Quebec by having him seek to continue the relationship with Rizzuto sparked in Cuba. However, some undercover plainclothes operatives were somehow believed to have been exposed -- and were then deemed "unusable." The op was called off. Bianco is still rankled by what could have been a successful infiltration of the Rizzuto hierarchy. "This is the closest we have ever been" at gaining "first-hand information about Rizzuto." A view of Melia Las Americas, a resort in Varadero, Cuba. Still a high-profile popular comedian? It's unlikely a mob boss of Rizzuto's intelligence would've told him anything useful. Ultimately, it depends on what Bianco meant by "firsthand information" about Rizzuto because there seems to be an awful lot of it available. 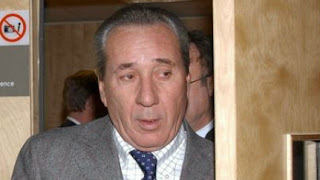 Rizzuto was arrested on January 20, 2004, along with most of New York's Bonanno crime family hierarchy. As CNN reported: "Anthony Urso and Joseph Cammarano, ... acting heads of the crime syndicate" were among the arrested. U.S. Attorney Roslynn Mauskopf called the investigation "the broadest and deepest prosecution ever of a New York City-based organized crime family." "With unprecedented access to the inner workings of the Bonanno family's administration, we had front-row seats, listening as these career criminals described murdering innocent victims in a desperate effort to salvage their crumbling criminal enterprise," Mauskopf said in a statement. Rizzuto wasn't mentioned in that report. However, five days prior, on January 15, 2004, Jerry Capeci had written an exclusive story profiling the "Canadian John Gotti," as Rizzuto was previously (and incorrectly) labeled. Capeci "had been tipped to the FBI's interest in Vito," as The Sixth Family noted." Vito fiercely fought extradition as his organization seemingly was under attack. When that battle finally was lost and Rizzuto was driven to the airport on August 17, 2006, he offered some pointed remarks to the two officers driving him to the airport. He needed to remain in Canada, he told them. Didn't they foresee the violence that had already erupted in his absence was only the beginning? Officers Nicodemo Milano and Franc Guimond got an earful, but probably had no clue that Rizzuto was accurately predicting the milieu's pending upheaval. Vito apparently believed his acting boss was not capable of leading the family in his absence. The pending war would claim the lives of Rizzuto's father and one of his sons. John W. Mitchell Esquire represented Rizzuto at the United States Courthouse in Brooklyn. Vito only faced the racketeering charge of conspiracy to commit murder for a criminal organization. The charge was lowered to conspiracy because American officials feared Canada wouldn’t extradite him if there was the potential for him to be executed. In his pre-sentence statement to court, Vito stopped short of telling the judge that he actually fired a fatal shot. Vito told the judge that he wasn’t well and that he’d received troubling news following a medical checkup a few weeks earlier. “They said they found a spot on my lung but they haven’t [figured out what the problem is yet]," Vito said. “They have to give me a CAT scan [but they were unable to get him to the hospital to conduct the procedure, presumably because he was arrested]." Vito’s words didn’t win him much sympathy -- feigning illness is a well-known ploy of mobsters seeking to talk their way out of trouble with the law. In Vito's case he was being truthful, and the Fed's seemed to have confirmed his health-related problems. He was sentenced to 10 years, but only had to serve five-and-a-half years because he was credited for his three-year pretrial custody. He could have even gotten out three years earlier than he did, if he had agreed to stay in the United States for the duration of parole. The judge also recommended that Vito be held someplace where he could receive further medical testing. Vito originally expected the deal would include a provision allowing him to stay in a prison near the Quebec border so his family could visit. But that wasn't the case. 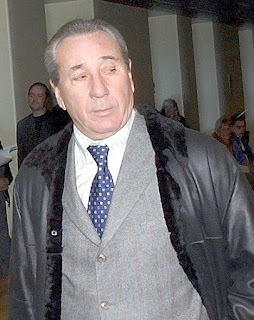 Rizzuto died abruptly of cancer (few knew he'd been battling the disease) in December 2013 after waging a long, bloody battle against a rival Cosa Nostra faction supported by a Ndrangheta contingent primarily based in Toronto. One month prior to his death, Rizzuto, continuing his vendetta, ordered a hit in Mexico, where Moreno Gallo, a turncoat member of Rizzuto's Mafia organization, was living out his retirement/exile at a beachside resort. One evening at an Italian restaurant in Acapulco, Gallo was shot several times in the head. The shooter was never captured. The impact of the arrests earlier this year stemming from two major drug trafficking investigations, Projects Magot and Mastiff, was widespread enough to create the potential for a new dynamic in Montreal's underworld. The probe examined links between the mob, Hells Angels, and street gang members. It was an alleged murder plot of Vito Rizzuto's chief enemy, Raynald Desjardins, that set in motion the November 2015 predawn raids in Quebec, which sweeped up 48, including members of the Montreal Mafia and the Hells Angels. Arrested were Rizzuto's son, 46, the daughter of Maurice "Mom" Boucher, a legendary former president of the Hells Angels' Montreal chapter, and Boucher himself, who was cuffed in his prison cell where he's serving multiple life sentences for killing two prison guards. War broke out after Vito's arrest by U.S. authorities -- the battle lines drawn between those loyal to an imprisoned Rizzuto and those not; among the lives claimed in the fighting were several key family members, including Rizzuto’s father and son, both named Nicolo Rizzuto. By 2010, Salvatore "Sal the Ironworker" Montagna, a former Bonanno boss from New York, joined forces with the renegade Rizzuto faction. But a dispute among Vito's enemies led to an attempted hit on Desjardins, and it didn't take long for them to figure out who was behind it. The result -- Sal The Ironworker was killed a few weeks later. One source reportedly said of Montagna: "He thought he was a lot smarter than he was."